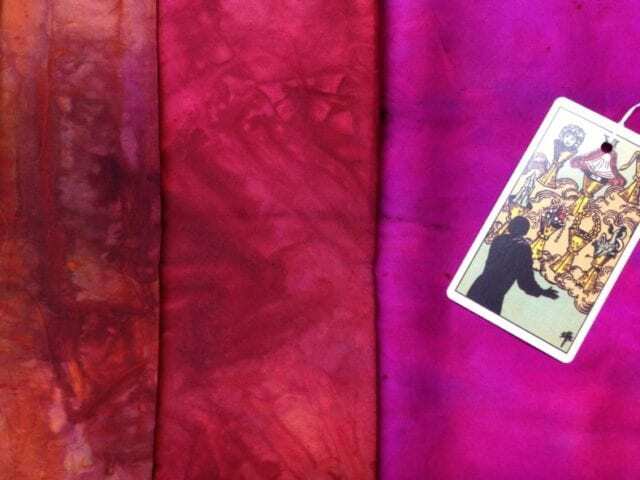 Many of you know Alchemy as a yarn company, makers of Silken Straw, Sanctuary, Sparky, and Lust. 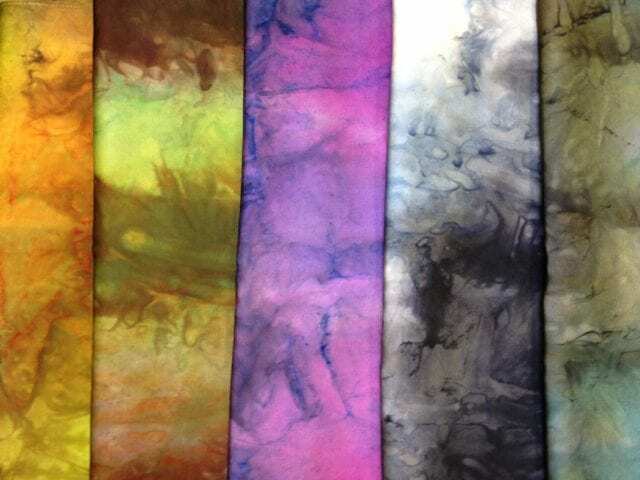 They are all that and more, and we’re delighted to share something new from Alchemy in our Gifts section: hand-painted silk scarves. 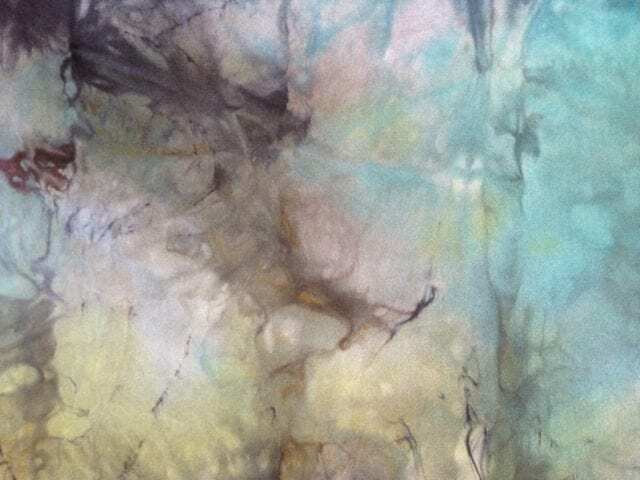 Gina Wilde, the artist and creative mind behind Alchemy, has been working with a fair trade collective in Cambodia to produce these silk scarves, and to develop work there centered in indigenous textiles. 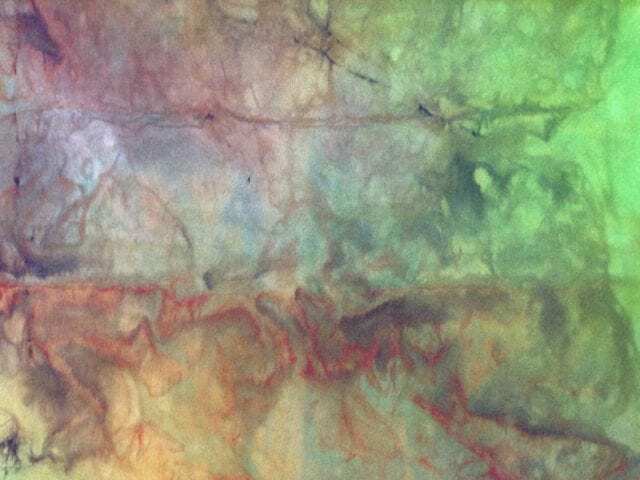 You can read more about what Gina described to us as her “heart project” on the Alchemy website. 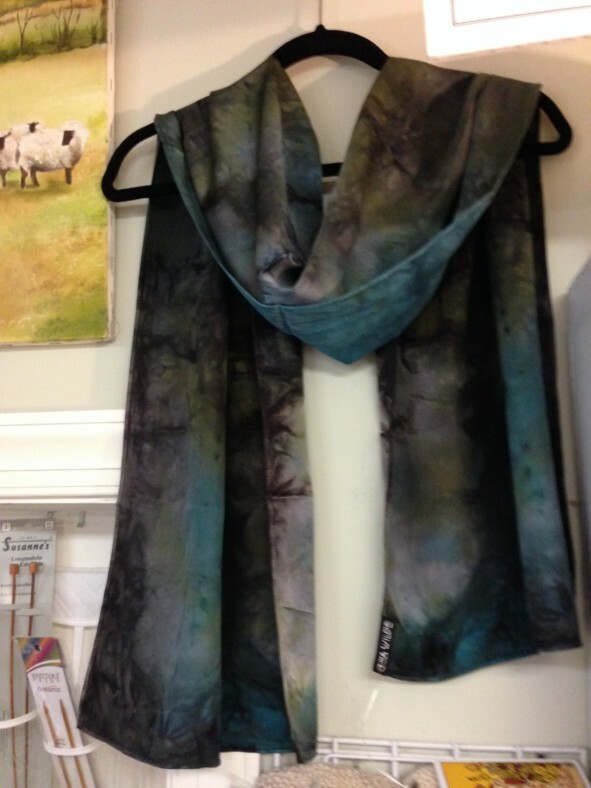 Gina herself paints the scarves, just as she paints Alchemy yarns, and the result is vibrant, elegant, and unusual. 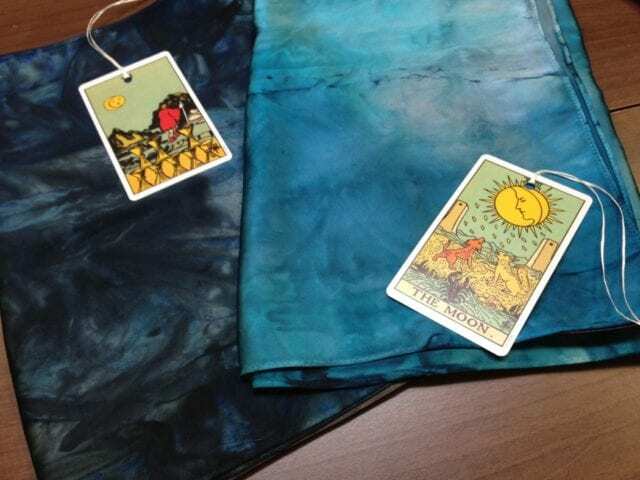 She also creates unique tags for each scarf out of tarot cards, an eye-catching detail that lends an aura of mystery to these special scarves. If you’re looking for a special handmade gift this holiday season, come check out our new Gifts section, which is where you’ll find these beautiful lightweight scarves. See you there!